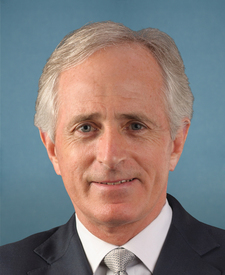 Compare the voting records of Bob Corker and Joe Manchin III in 2017-18. Represented West Virginia. This is his 9th year in the Senate. 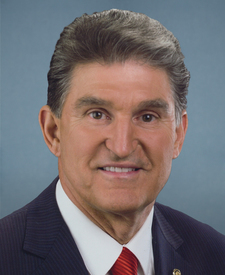 Bob Corker and Joe Manchin III are from different parties but agreed on 63 percent of votes in the 115th Congress (2017-18). It is unusual for two members of different parties to agree on so many votes. Out of 569 votes in the 115th Congress, they agreed on 361 votes, including 22 major votes. Nomination Confirmed by a margin of 2 votes. Cloture Motion Agreed to by a margin of 2 votes. Nomination Confirmed by a margin of 6 votes. Nomination Confirmed by a margin of 3 votes. Cloture Motion Agreed to by a margin of 3 votes. Cloture Motion Agreed to by a margin of 6 votes. April 18, 2018 — A joint resolution providing for congressional disapproval under chapter 8 of title 5, United States Code, of the rule submitted by Bureau of Consumer Financial Protection relating to "Indirect Auto Lending and Compliance with the Equal Credit Opportunity Act". Joint Resolution Passed by a margin of 4 votes. April 17, 2018 — A joint resolution providing for congressional disapproval under chapter 8 of title 5, United States Code, of the rule submitted by Bureau of Consumer Financial Protection relating to "Indirect Auto Lending and Compliance with the Equal Credit Opportunity Act". Dec. 2, 2017 — To strike title II. Nomination Confirmed by a margin of 4 votes. Oct. 19, 2017 — To strike the reconciliation instructions for the Committee on Energy and Natural Resources of the Senate to prevent oil and gas development within the Arctic National Wildlife Refuge. Amendment Rejected by a margin of 4 votes. Oct. 19, 2017 — To help provide tax relief to middle-class Americans by reducing deductibility, for Federal tax purposes, of federal deductions, such as the state and local tax deduction which disproportionally favors high-income individuals. Amendment Agreed to by a margin of 5 votes. Cloture Motion Agreed to by a margin of 7 votes. Jan. 11, 2017 — To establish a deficit-neutral reserve fund relating to strengthening Social Security or health care for women, which may include strengthening community health centers, and repealing and replacing Obamacare. Motion Rejected by a margin of 6 votes.